The French-Italian Antarctic station Concordia was opened in 2005 and is a joint project of the French Polar Geophysical Institute and the Italian National Antarctic Research Program (PNRA). This place is characterized by incredibly harsh conditions, the temperature here sometimes reaches −80 degrees! In winter, the sun does not appear over the horizon, and in summer it does not set below the horizon. Four months a year, the station staff live without sunlight. It is located 560 km from the Russian Vostok station and 1,100 km from the South Pole. ESA sends researchers here who study how long space missions can affect the human body. 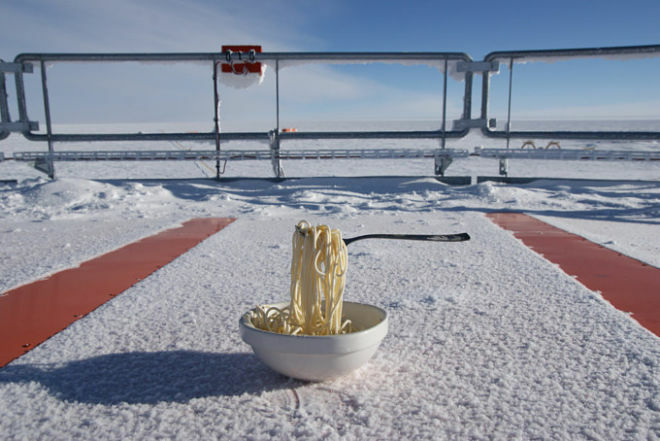 On September 29, the station staff conducted a funny experiment, leaving noodles in the cold. 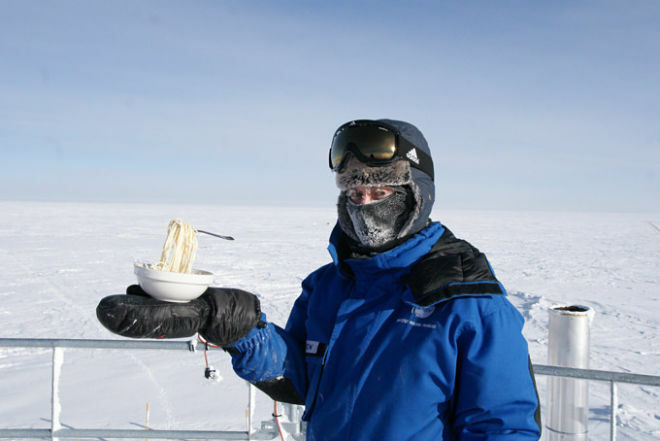 According to Tj, they read the story of a resident of Yellowknife in Canada on Reddit portal – last year she found noodles on the street, which froze with chopsticks. An employee of the station, Carmen Possing, also came in – she prepared a meal, after which she “forgot” her on one of the towers. The air temperature at this time reached −60 degrees. 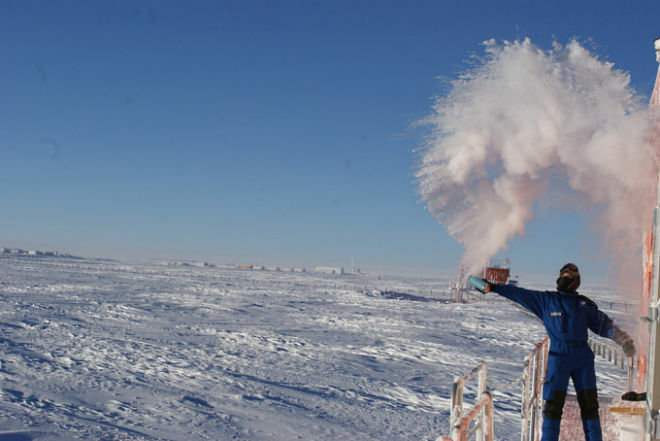 The conditions on Concordia also dictate very special rituals of meeting new employees: the newcomer must go out and pour boiling water from the bottle – the water instantly freezes.